DJKRUCK.COM’s goal is to create a modern and stylish event inspired by different trend-setting lifestyles. Our energy and passion for music lies within the core of our company, and has been an essential driving force since 2002. Our team of talented DJs, lighting technicians and event designers strives to deliver memorable and unique experiences to all our clients. We focus on individualized service towards our clients, and only perform at events that we find exciting, where we can put our passion for music and lighting into action. Without passion, there cannot be success. And the success of your event is our ultimate goal. Together, we’ll create a production that truly brings forward what you envisioned your wedding, party, or event will look like. And we will work alongside you, ensuring we efficiently deliver something amazing! We love working with creative clients that envision something unique and exciting for their event. DJKRUCK.COM is Oklahoma’s leading force of professional DJs and total event production. 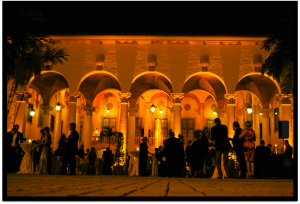 We take pride in creating amazing events and providing outstanding service for our clients. Call Us today! DJKRUCK.COM is conveniently located in Oklahoma and services all of USA. We specialize in Weddings, Concerts, Quince’s, Sweet 16’s, Anniversaries, Corporate events and School events. Our Award Winning Miami Djs play all your favorite hits from all genre to include, but not limited to, Merengue, Old School, Salsa, Bachata, Reggae, Reggaeton, Dance, Pop, Disco, House, Hip Hop & R&B. You name it, WE GOT IT. Contact us at your convenience for rates, availability and information of the many services we offer to make your event the PREMIER event! FIND YOUR PERFECT WEDDING MUSIC. From the ceremony processional song to the last dance of the night, figuring out the right songs for weddings can definitely be a challenge. If you’re not sure where to start, below are some suggestions of wedding ceremony songs and wedding reception songs. Tip – First, it’s important to find a DJ company (like Us) that have the sort of wedding music repertoire you’re looking for. If you have a set list of (“must-play” and “do-NOT-play”) wedding dance music, be sure to bring it along when you meet with us to make sure we’ll be able to accommodate your style of music. It’s almost here—the most important day of your life! All of the planning and preparation is finally about to pay off, and you need the right music to set the stage. After the butterflies have settle a bit, it’ll be time to stroll down the aisle. That’s where we come in. The wedding ceremony is arguably the pinnacle of any wedding. It’s the point where the couple is officially joined in marriage. The music should be fitting such an important occasion. Some couples prefer the traditional tunes of the “Bridal Chorus,” the prelude to Act III of the Lohengrin Opera (also known as “Here Comes the Bride”). Other couples may prefer a song that symbolizes their love for one another. Countless hours of planning and months of waiting have culminated to that big kiss, which launches you into a new chapter in your lives. It’s a life-changing moment, marked by huge smiles, a few happy tears and, of course, some music! The big question is – what’s the first song you’ll hear together as newly-joined lifelong partners? Get ready, because it’s time to walk it out back down the aisle! Below are some songs K-Ruck Media recommends for you and your dearly beloved as you take your first steps together as newlyweds. The traditional pass-the-torch moment at a wedding is the bouquet toss. It’s fun, silly, and competitive. When done right, is sure to provide everyone with a good laugh. The right music really sets the tone as the single ladies assemble on the dance floor for the toss. It’s meant to be an energetic slice of the wedding reception, and the music should reflect that. First dance songs that fit your style! The first dance is one of those magical moments where time stands still, the spotlight is shining bright, and all eyes are on you, so literally anything goes as far as pairing music to your perfect moment. This is an amazing opportunity to spotlight any song that’s personally meaningful to the both of you as you take center stage and shine. Here are a few different styles and examples to help you along your way. Father and bride dance songs you’ll both LOVE. This is always a tough song to pick because the selection is somewhat limited. It’s even more challenging if your taste in music doesn’t line up with dad’s. To find a song that makes you both happy and shows the importance of your relationship, consider selecting modern version of Dad’s favorite song, like a Michael Buble cover of his favorite Frank Sinatra or Queen song. Below, are some of our recommendations. The mother-son dance is one of the sweetest moments at any wedding. It’s filled with love, joy, pride, and a hint of the bittersweet as a mother witnesses her son become a husband. There are so many lovely songs to express this special moment; picking one that is unique to your mother-son bond will make this memory unforgettable. Here are a few suggestions that span the classics, a few under-the-radar choices, and and one or two songs with a fun twist. Have fun selecting the right song, and make your mom proud! A bit of a tear jerker, but this 90’s hit is a classic for the groom who is still a proud mama’s boy. A classic, plain and simple. Both Billie and Tony do it justice; pick the artist your mom likes more. A jazzy and sweet song for a slower mother-son dance. A great choice for a modern mom with a big heart. A new country classic that hits a sentimental yet joyful note. A whimsical but touching country classic that your mom probably already knows and loves. A modern country hit with a great melody and a positive message. A great tribute to a loving son. The quintessential song about the bond between parent and child. A simple song with big meaning for this special moment. A great choice for moms who remember (and love) the music of the 60’s and 70’s. This is the classic mother-son dance song. It’s not “fresh,” but it never gets old. A really upbeat and fresh song for a lighthearted dance that guests will love to watch. A great track for the formerly rebellious groom who wants to tease his mom a little bit. A humorous twist on the occasion with a song everyone knows and loves. A fun song for an upbeat mother-son dance. A slower rock song that’s a mom tribute. All Rights Reserved. © DJ K-Ruck.